With Clicktale Integration, you can push visitor data from VWO test on Clicktale Page Events and also filter your recordings based on the variations accessed by the visitors. To get started with the integration, simply create VWO test and enable Clicktale integration for the tests. 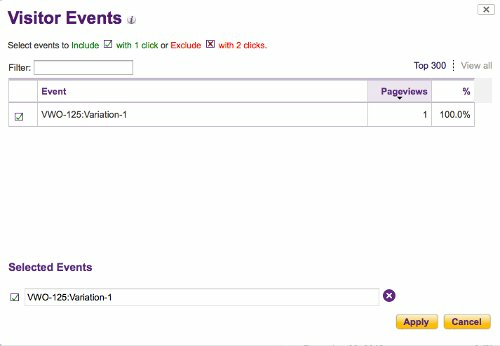 Then, log in to your Clicktale account and use Page Events to track visitors and segment data recordings for each variation. 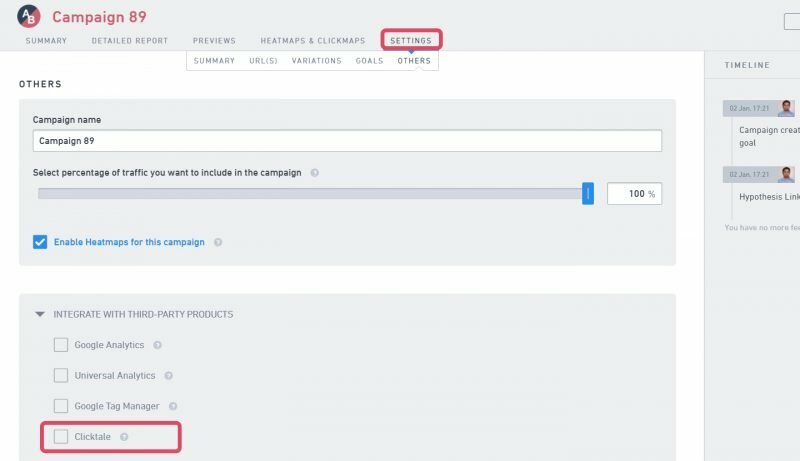 For a new VWO test, enable the Clicktale integration option on the Campaign Settings page during the creation process. To enable Clicktale integration for an existing campaign, select the Campaigns to enable the integration. Under Settings, select Others option and enable the Clicktale integration option under Third-party Integration section. 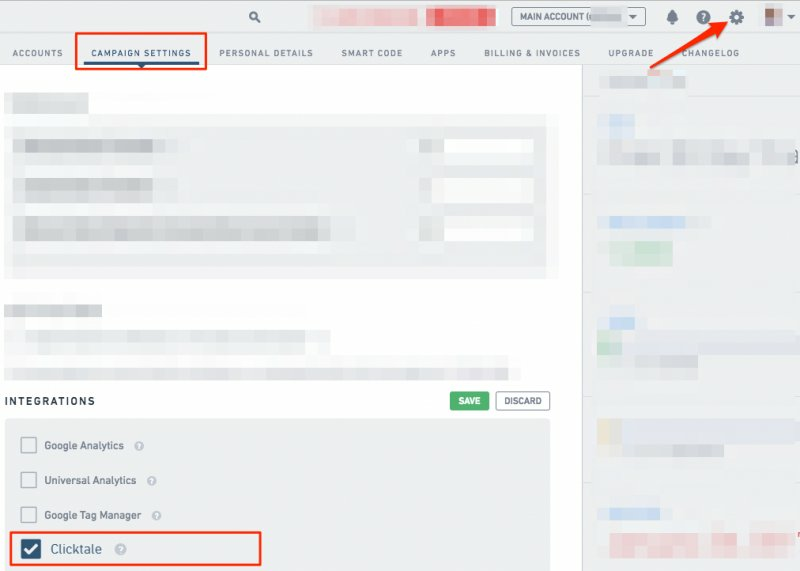 To enable Clicktale integration across all tests in your account, click Settings on the upper right of VWO dashboard and select the Campaign Settings tab. Go to the Integration section and enable Clicktale integration option and click Save. Sign in to your Clicktale dashboard and go to Page Events section. VWO-1 displays the campaignID running on the page. So, VWO-1 would mean test id 1 is running. Please note that the integration is only for Recordings in Clicktale.